Universal serial bus (USB) technology is a wonderful improvement over the relatively ancient parallel and serial ports used to attach peripherals. All computers sold in the last year or so come with USB ports, but until recently users with older PCs couldn't enjoy the benefits of this technology, even though most Windows 95 or Windows 98 operating systems support USB devices. Now, with products like Entrega's UPG-PCI-2U USB upgrade, nearly anyone can add USB support to their computer. The UPG-PCI-2U is an expansion card that interfaces with an empty PCI slot on your computer's motherboard. The card adds two USB ports. We were worried when we opened the box and discovered no drivers were included with the product, and alarmed when Windows 98 asked for a driver location when we installed the product. As it turned out, our worries were unfounded, as everything you need to install the UPG-PCI-2U is located on your Windows 98 CD-ROM. After inserting that disc in the CD-ROM drive, installation proceeded without a hiccup, and we didn't even have to reboot the system to begin using our two new USB ports. We tested the card with a modern motherboard and Pentium II processor, though Entrega claims the product works with any PCI 2.1-based motherboard using at least a 486/66 MHz processor. Of course, Windows 98 is a prerequisite for using the expansion card, and we pity anyone running that operating system on a computer with a 486. We feel the card would work best with slower Pentium systems that didn't come with USB ports but have since had Windows 98 installed. It would also shine as a solution for those with faster PCs who need a few extra USB ports, although attaching a USB hub to an existing port might be a better solution if PCI slots are scarce. This add-on product works just like the integrated USB ports new computers come with. Once a compatible product is attached, it is immediately recognized by the operating system and installed. Installed products can easily be removed or attached while the operating system is running--a wonderful change from the frequent reboots associated with installing products on a serial or parallel port. Only two USB ports are added, but that doesn't necessarily mean you can only attach two USB peripherals to the computer. You can add a USB hub to one of the ports, giving you the ability to run multiple USB devices through a single port. The USB standard theoretically supports 127 devices chained to one port, giving you plenty of headroom. Entrega says the ports are completely independent, so that if one fails the other will keep working. Fortunately, we never got to test this ability. The product performed well in all our tests and was indistinguishable from the integrated USB ports on our test systems. I ordered this product thinking that I didn't have any USB ports in my computer. I was wrong. But I kept it anyway, just in case. It was a simple installation. The directions were straightforward and helpful. I had the card in my computer within 10 minutes and I started it up. I disregarded the fact that I needed my Windows 98 CD for the drivers. That slowed me down. I tried to get by this many different ways but none worked. I probably screwed myself up by trying to find the correct driver in another way. I ended up having to reinstall windows and then everything worked great. There was no other trouble. Just be sure that you have your Windows 98 CD handy! I purchased the Entrega UPG-PCI-2U USB Upgrade 2-Port and it didn't come with a driver. I need to know where I can download the driver for the port. If you can send it on a floppy disk, I would greatly appreciate it. I rated this product with a 1 star because I haven't been able to use it yet. Entrega Technologies' Macintosh USB Docking Station expands your USB-enabled Macintosh with two additional USB ports, an eight-pin serial port, and a SCSI (25-pin female) port--all in one convenient unit. 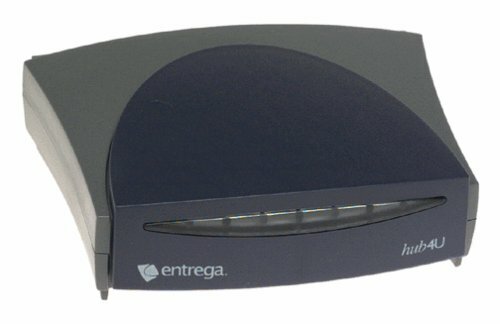 Entrega's USB Docking Station gives users a simple, cost-effective port replicator solution through a single USB connection to the computer. 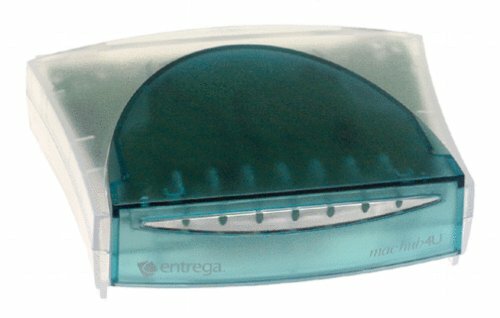 I have an Entrega mac4U hub that is still in warranty and has been a source of lots of trouble...freezes, etc. When I first got it I wrote Entrega about the problems and they advised me to write ...apparently Entrega wanted this address to reply. I wrote them several times...they never answered my mail.I have no idea who they are and what their connection with Entrega is. This hub is completely unreliable when used with an I MAc and Entrega never made an attempt to make it right. I paid 129.95 for it but will never buy their product again. If anyone knows how to contact entrega (if in business) please let me know. Totally dissatisfird with their product. Entegra makes it possible to purchase a USB-type computer and avoid the purchase of MANY adapters. No problem booting up like the other guy had, and the hub keeps the ports within easy reach all the time, making hot-pluggable exchanges quick. Very convenient and a good value. I have used this product for some time now with no trouble. Installation is automatic. This hub is self-powered which means it comes with its own power supply; this is good because it does not make your computer supply the power via the usb cable. Product is small and sturdy. Hub can also be stacked on top of others of the same brand. The installation for this product was a breeze, configuring itself in a matter of seconds without even needing the Win98SE cd. The LEDs are an interesting touch; not really useful but neat just the same. The design feature I like the most about this is its capability to stack if you have more than one of them. There are clips on the sides that make this a much cheaper and expandable alternative than the modular Belkin hub. My devices all work fine on this one... with one exception: my Epson printer, for some reason or another, simply will not work when attached to this hub. Since there are plenty of other hubs in this price range that do the same things, I would recommend buying a different one so you don't have to worry about whether or not all your attachments will work correctly. I found this product does almost exactly what it was advertised to do. I've had everything from a low-powered joystick to a scanner plugged into it, and haven't experience many difficulties. The only thing that threw it for a curve was a USB ethernet adapter, which inexplicably stopped functioning properly after a few hours of being plugged in to the hub. I'm not sure why, but it had to be plugged directly into the computer's USB port to work reliably. That anomaly aside, the only thing I can think of that it doesn't do what its packaging says it should, is add four ports to your system. It adds only three, because, of course, it has to be plugged into one of your computer's existing ports. Indeed, every time you add one of these puppies to your system you're only adding three more ports, because one port always has to be used simply as a connector. Other reviewers have pointed out that it doesn't work well on Macs or under Windows 95. I unfortunately haven't been able to verify either of those statements, so I'll leave my review qualified to this extent: by and large, it works very well under Windows 98. If you have Windows 98 or ME, this is the USB expansion solution you want. Installed easily and works great. This device has worked perfectly and flawlessly for both my legacy MAC and my Dell PC; I use it with an Iomega SCSI Jaz drive to back up these as well as my kid's iMac. Installation doesn't get any simpler. One caveat: the SCSI drive is just as tempermental as it always was - don't blame the converter! E.g., the drive must be on and loaded before your computer is turned on for the drive and "removable media" to be recognized at start-up; from there, the removable media can be removed, swapped, etc. At least that's been my experience. new life for my SCSI device! This is a great little card! I have an older PC system and it has no USB support, so I purchased this card. I now have a USB scanner, printer, and webcam connected to it, it is an amazing card, USB is amazing! My scanner works fast, my printer prints a lot faster (it used to be connected via parallel port), and my webcam works great without lagging my system (I had a parallel webcam before and it would slow down the PC). I've been using this card for about 6 months already and have had no problems, it works great! If you are thinking about adding USB to your PC, or just adding an extra 4 ports, get this card, you wont regret it! The easiest upgrade ever! Truly plug and play. I installed this upgrade in my Macintosh PPC 7500 (upgraded to G3) and started using it with my Epson Stylus 740 color printer right away. No more terminations or addressing as with the SCSI peripherals I currently have.